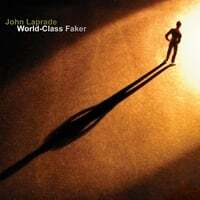 John Laprade-World Class Faker. Brooklyn's John Laprade follows up his 2008 EP Blind with his debut full-length, and he shows all the makings of a budding pop craftsman. He masters a variety of styles, from the bright power pop of "Soul Shaker" and "Blind" (yes, he's re-worked a few tracks from the EP), the Popicana of "Last Time" and "Tennessee" (which is "right next to Arkansas"), to the expert balladry of "Anything at All" and "Infinity". Also of note is the appearance of legendary guitarist Richard Lloyd (Television, Matthew Sweet) on the rocking "Knock You Down". I've had this disc for a couple of months in advance of its release, and listening to these tracks again for this review felt like reuniting with old friends, a real indication there are some quality tunes here. 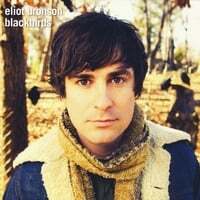 Eliot Bronson-Blackbirds. Bronson is one half of The Brilliant Inventions, a duo who put out one of 2009 best folk-pop albums, Have You Changed. Flying solo here, Bronson leans more to the folk than the pop, but there are a number of understated gems here and his gift for melody remains intact. Those who lean to the pop side of things will love "Everywhere I Go", a beautiful midtempo number that has the kind of chorus that will burrow its way into your brain, and the buoyant "If You Need to Be Free", which will appeal to fans of the Shane Lamb disc I recently featured. And the folkier tunes are not without their charms either: Leah Calvert's wonderful harmony work on "Old Car" and "Black-Eyed Susan" recalls the Caitlin Cary/Ryan Adams dynamic of Whiskeytown. In other words, Bronson has of the best folk-pop albums of 2011.